In today's world, digital technology has come to dominate so many areas of our lives. From non-profits to small businesses and on up to multinational corporations, computers and integrated software programs are an integral aspect of their operations and thus it should come as no surprise that it's necessary for every organization to employ someone who can manage and understand those systems. This is where a person with a degree in Information Systems comes into play. The term 'information systems' is one that is broadly used to describe the systems, processes, and even people designed to create, manipulate, store, disseminate, and distribute information. Most people with a master's degree in information systems will work directly with computers, but it's important to note that not all information systems are strictly computer based. This degree program deals specifically with creating a system, any system, and being able to understand how to use it to record information. The key aspect of this field is how it bridges business and computer science along with other systems of organization. Flexibility to Work across a Range of Environments. As stated above, the information systems program, at general, teaches students how to create systems to organize data and how to manage that data. This is a critical component of every organization that does business, even those who operate solely on donations and volunteer hours must have a comprehensive system in place to organize their information. Those who have completed this program will thus enjoy a great flexibility in the type of work environment they want to go into. Flexibility to Travel and Work. Additionally, because of how technology systems can be accessed remotely, individuals with this degree may have the option to work primarily outside of an office-type environment. The mass use of computers and organizing systems across the globe also means that graduates with this advanced degree can expect to find gainful employment just about anywhere they want to go. Ability to Specialize & Turn Passing into Career. Because information systems is such an umbrella term that covers a variety of organizing systems, students enrolled in this program can really shape their degree around their interests and change those specialties into a path that leads directly to their dream career. For example, someone looking for a career in high-profile cybersecurity jobs can focus primarily on the computer science and cybersecurity aspect of information systems with their goal to become a security administrator. Setting One's Self Apart From the Competition. A Master's Degree in Information Systems will set a graduate apart from their peers. A master's degree in any computer science-related field showcases that one has undergone rigorous study and has authoritative knowledge of the subject at hand. 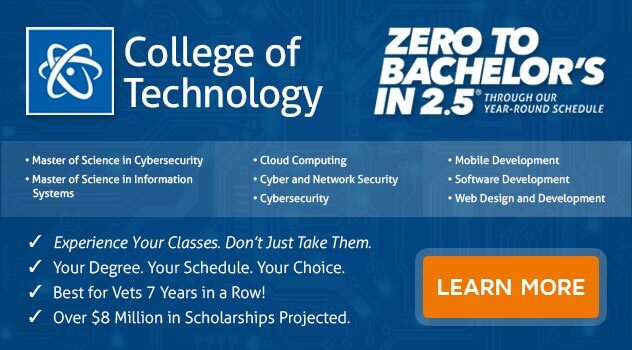 Are You Ready to Transform Your Life By Enrolling in an Information Systems Degree Program? Interested in studying information systems? If you want to earn a Master of Science in Information Systems, consider ECPI University. With accelerated courses, you could earn your master's in as little as 15 months. For more information about this exciting opportunity, connect with a knowledgeable admissions advisor today.